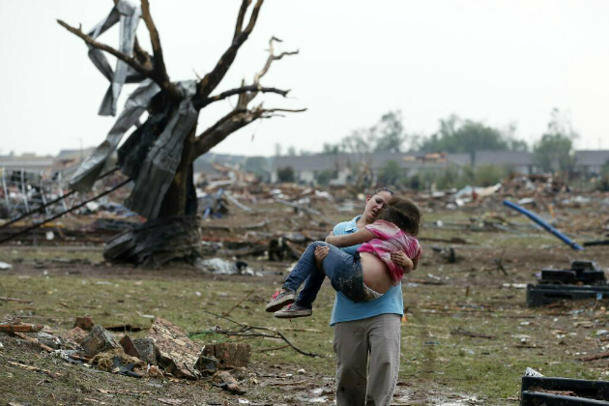 A devastating, two-mile-wide tornado touched down near Oklahoma City on Monday, killing at least 51 people—including at least 20 children—decimating homes, businesses and a pair of elementary schools in the suburb of Moore. 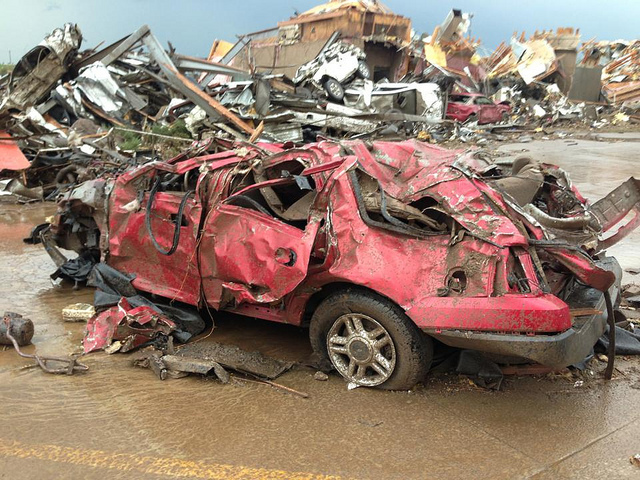 The schools—Plaza Towers Elementary and Briarwood Elementary—were leveled by the tornado. 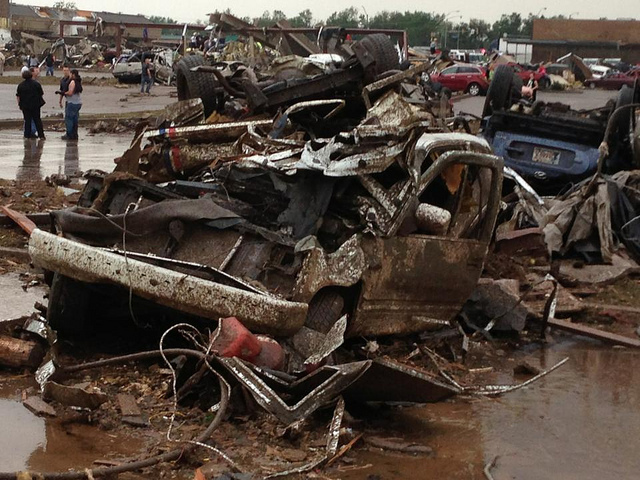 It was unclear how many children were in them at the time the twister hit. At least seven children died at Plaza Towers, and as many as two dozen more were feared to be trapped inside the rubble. 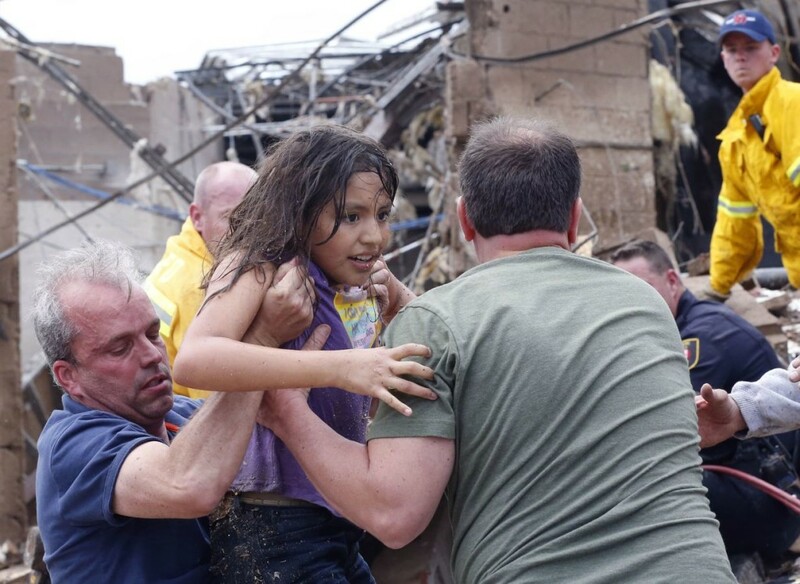 An Associated Press photographer saw rescue workers pull several children out alive. 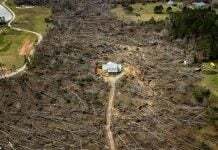 The tornado left a debris field 20 miles long and several miles wide. 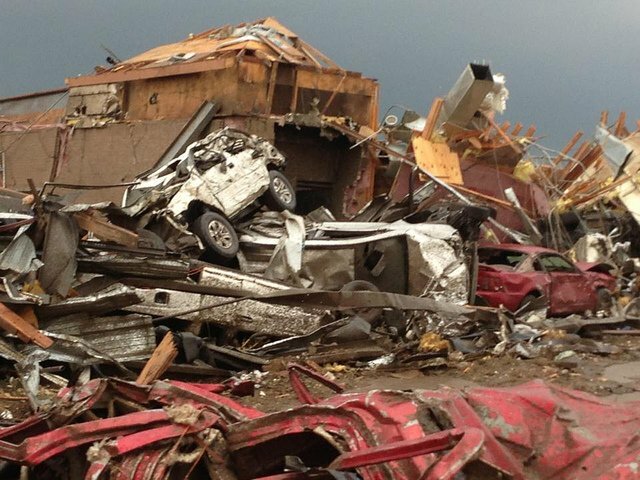 According to the National Weather Service in Norman, Okla., the tornado was on the ground for approximately 40 minutes. Weather officials estimated the strength of the storm to be an F4 or F5 on the Fujita Scale—the highest rating a tornado can achieve. 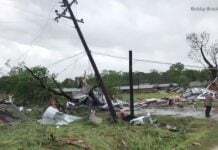 The National Weather Service said the tornado’s preliminary classification was an F4, with winds up to 200 mph. The whole city looks like a debris field and the hospital is pretty much destroyed. 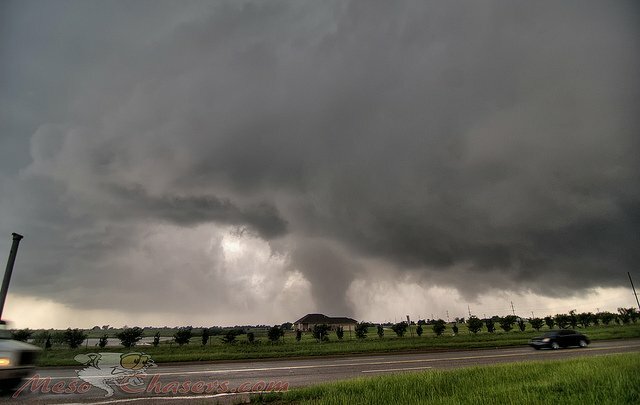 Another, smaller tornado was spotted on the ground west of Meeker, Okla., north of Shawnee, on Sunday. 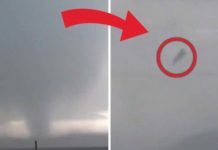 The tornadoes came a day after powerful storms ripped through the center of the country, spawning at least a dozen tornadoes, killing two people and causing extensive damage from Georgia to Minnesota.